Suppose I told you one of the political parties was determined to increase wasteful government spending by hundreds of billions of dollars, to pay the salaries of countless extra bureaucrats and to degrade the quality of medicine in the U.S. If you’ve been paying attention to politics for the last few months, you’d probably assume I was talking about the Democrats. Not so. I’d actually be talking about the Republicans who want to repeal health care reform. Confused? Well, don’t blame yourself. The Republicans and their allies have spent a lot of time--and a lot of money--attacking the Affordable Care Act and promising to undo it. And they have done so with such a fury that almost nobody seemed to notice they are making a pair of arguments that are fundamentally incompatible. The Republicans start their calls for repeal with a familiar, thematic critique of government. The new health law, in this telling, represents an unconscionable government intrusion into the private sector and, ultimately, an encroachment on individual liberty. The federal government will be dictating everything from how employers conduct their businesses to how doctors treat their patients. And, oh yes, the government will be spending a ton of money it does not now have, increasing the deficit and/or laying new burdens on the taxpayers. The argument is hyperbolic and, in places, downright inaccurate. But, at least, it is consistent with longtime conservative principles about the role and size of government. But that’s not all the Republicans have been arguing. They’ve also been attacking the health overhaul for what it will do to Medicare. And instead of accusing Democrats of trying to dump more money into a government program, as Republicans would typically do, they’ve attacked Democrats for doing the very opposite--noting that the Affordable Care Act will reduce spending on Medicare somewhere around $400 billion over the next ten years. Apparently government-run health care is awful, except, um, when it isn’t. To be fair, the Republican argument makes perfect sense if you think like a campaign operative. Senior citizens are, at the moment, the most conservative age group in the electorate. They were least likely to support President Obama in 2008 and, during the health care fight, were most likely to oppose enactment. Republicans seized on that fact and have gleefully proclaimed themselves champions of Medicare, despite a long history of opposing it and, as Newt Gingrich once put it, letting this universal social insurance program “wither on the vine.” Seniors are playing along, since they figure reform means taking money once targeted for Medicare and diverting it to help people under-65 pay for their medical care. But here’s where things could get complicated for the advocates of repeal. Consider what undoing the cuts in Medicare would entail. It would start, first of all, with restoring higher payments to the insurers that provide private coverage for people in Medicare, through what’s known as the Medicare Advantage plans. There’s a reason the health law reduces those payments: Repeated independent studies, including those by the well-respected Medicare Payment Advisory Commission, determined that the government was paying the insurers too much. Restore those payments, and you’re wasting taxpayer dollars. And a lot of those wasted dollars will go to hiring new people to work at insurance companies. They won’t be government bureaucrats, obviously. They’ll be insurance company bureaucrats. But is that really better? Is the Tea Party in favor of waste as long as its lines the pockets of insurance executives rather than Uncle Sam? Meanwhile, restoring the other cuts to Medicare would mean rescinding payment reductions designed to make the program more efficient. Remember, a major goal of the health reform measure is to push against higher spending while simultaneously promoting higher quality care. In the case of Medicare, that means slowing down payment increases to providers and penalizing those that provide substandard treatment; while, at the same time, boosting payments to primary care doctors and providing bonuses for those who actually treat patients better. Reasonable people can argue how well these efforts will work. But allowing Medicare to continue going along as it has been for the last ten to twenty years -- which is what repealing the new health law would do--would almost surely force a choice between much higher taxes or much worse access to care. If you don’t believe me, just look at the plan proposed by Republican Representative Paul Ryan, who is forthright enough to admit that the GOP alternative to the Democrats’ approach to Medicare is to reduce radically its guaranteed benefits. 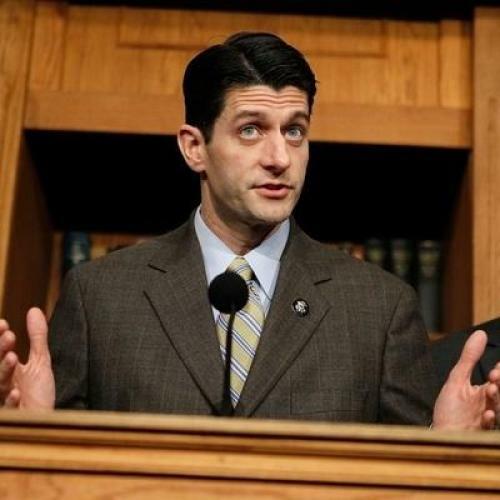 Of course, the Republican Party’s leadership hasn’t embraced Ryan’s plan in any specificity. And, at least for the short term, it seems unlikely they’ll advocate such a path, lest they scare off the seniors that just handed them control of the House of Representatives. But that means Republicans are now on the side of wasting taxpayer dollars on a government program that, in fact, needs some reform. I wonder how long it will be until the Tea Party figures that out.